I wanted my first article for the site to reflect on my personal taste for automotive style and culture. 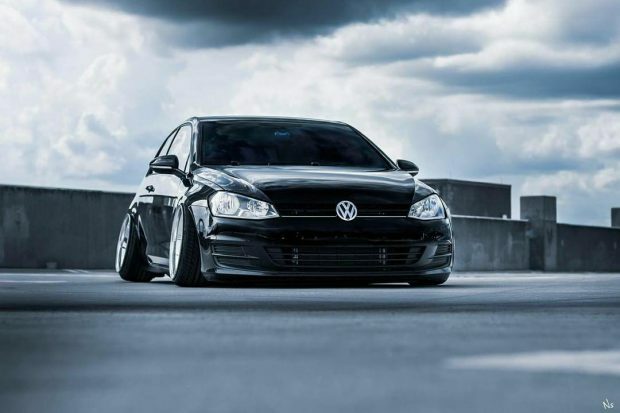 Being in the watercooled Volkswagen and Audi scene for the better part of a decade has introduced me to a lot of cool people and many of whom have become very close friends. I met Stun while I was in Savannah, Georgia last year for European Experience. It turned out we were both staying at the same hotel for the show and when I saw his Mk7 in the parking lot I had to take a closer look. With countless GTI’s and GLI’s being setup and modified it was a nice change of pace to see a lesser trim example done right. The Golf TSI doesn’t pack as much punch as it’s 2.0 liter counterpart; the GTI, however the 1.8 is still very peppy. I asked Stun why he took the road less traveled in regards to choosing the Golf over the more heavily equipped GTI and his answer was pretty straight forward. Simplicity. Aside from subtle OEM+ parts gracing the interior, the rather short part list consists of Air Lift Performance struts, BBS RF rollers, and a few critical suspension tweaks to get the car sitting as nicely as it does with the lips nestled under the arches. While many will say that the car is simply a “bags and wheels” build I’m here to agree with you. 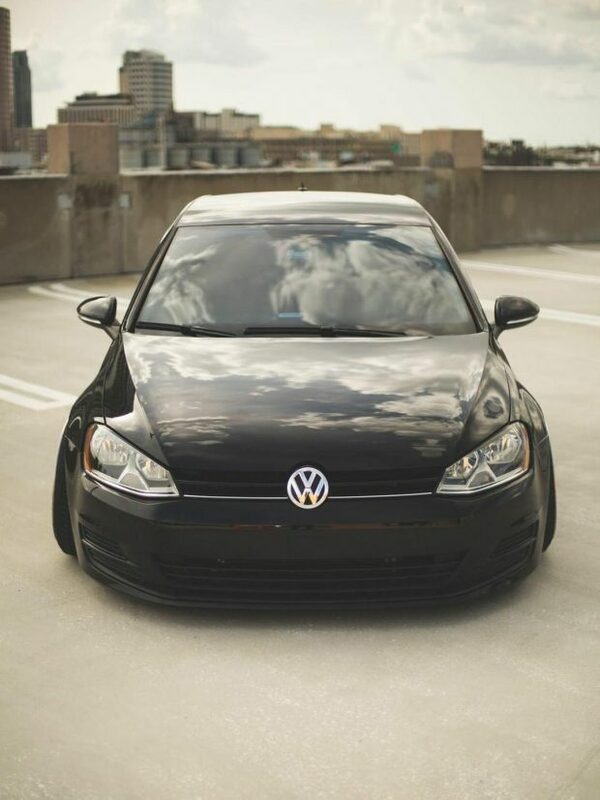 That’s why this Mk7 caught my eye. With so many widebody, fully-built, show cars popping up on everyone’s social media feeds throughout the day it’s a breath of fresh air to see a car that is executed perfectly in a less is more fashion. Sometimes all it takes is a set of killer wheels and a drop to really bring out the aesthetically pleasing lines of a small Euro commuter car to make you appreciate an age old mantra. If it ain’t broke, don’t fix it. I can definitely agree with you on what you said throughout the article. It’s kind of like social media has desensitized most of us since seeing wide-bodied, bright and aggressively stanced “builds” has become so common place that either everybody aims for that run of the mill look on their own car or will only appreciate a car that’s sporting it. Came to support my boy Morgan. I became good friends with Morgan Wilson 2 years ago at work. From the start, i took notice of his interest in what our co-worker would call “sauerkraut” cars. i most admit this is a very well written article. and I am looking forward to reading more. Great job Jangalang I mean Morgan.